For all the hype Trinity War, Forever Evil and Batman: Year Zero have received, I think the only story DC Comics is telling right now worthy of the name epic is being told in the pages of Earth 2. The vast collection of New 52 titles read like disparate stories forced together unnaturally into a shared universe. Earth 2 is different, making the reader believe they are being given a glimpse into a vibrant, preexisting world. This month's issue may seem like a collection of unrelated super-powered battles on the surface but writer James Robinson gives the material a depth rarely seen these days. The plot of the issue deals with four separate groups of heroes combating a second invasion by the super-powered villains of Apokolips but Robinson's subplots and complex characterization make the action all the richer. Robinson is one of the few writers I think who could balance such huge story concepts as the romance between Mister Miracle and Big Barda, the revelation that Gotham City is now a savage land roamed by dinosaurs and a battle with Wonder Woman's brainwashed daughter all together in a single scene. Nicola Scott is similarly underrated. 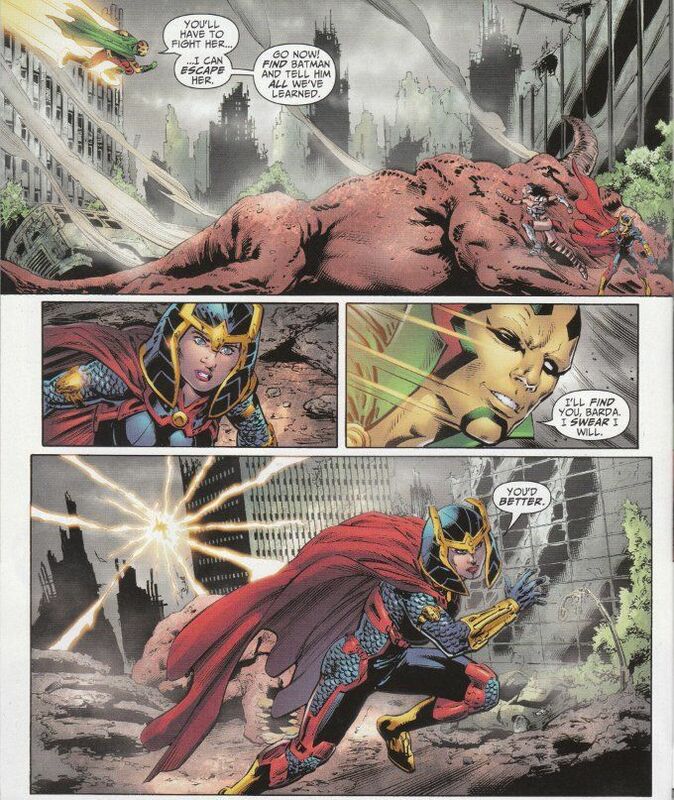 Her character designs for every character in this series have been gorgeous and unique, conveying the basic idea for some long-established characters while still remaining true to the basic concept Big Barda's armor, for instance, looks more like real armor than ever before yet the basic form of Jack Kirby's design remains intact. 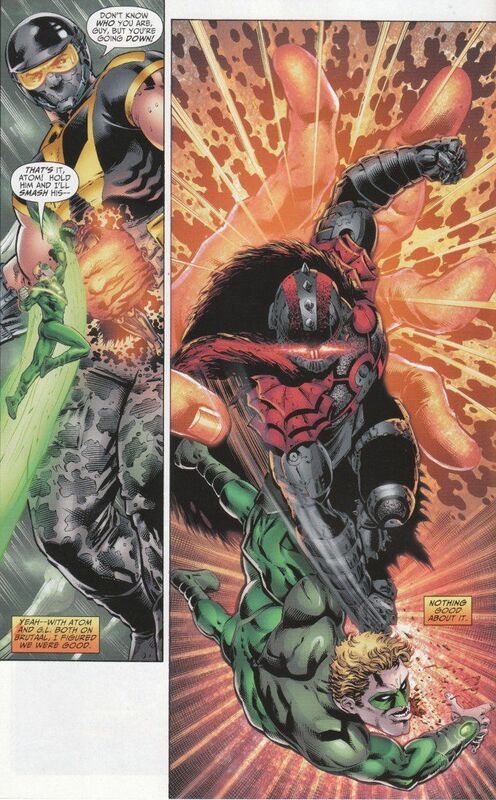 Earth 2 is one of DC Comics best-hidden treasures. It's a great read if you like dynamic stories full of action and the artwork is always excellent. However, what will keep you coming back month after month is the relationships between the characters and the sensation you are truly peeking into another complex universe.